We don’t have to tell you how hard it is to please the whole family at once. In most situations, a compromise is the best you can hope for. When you’re shopping for a new vehicle, though, the 2018 Chrysler Pacifica at our Manchester area dealership has you covered from every angle. In fact, we’re confident that one look at the 2018 Pacifica against the 2018 Honda Odyssey will prove to you that you can, in fact, keep the whole crew happy! Price, performance, and comfort are all crucial for family drivers. At our Chrysler dealer serving Manchester, the 2018 Pacifica delivers on all three. For starters, the starting MSRP on the 2018 Pacifica is thousands less than that of the 2018 Pacifica. That’s sure to go a long way for your family’s budget. Better yet, the 2018 Pacifica scratches your itch for better performance without sacrificing fuel efficiency. While the 2018 Pacifica and 2018 Odyssey are both built around V6 engines and share identical estimates for fuel efficiency from the EPA, the 2018 Pacifica delivers on more horsepower. Craving even better efficiency? Chrysler also offers a hybrid variant of the Pacifica design; no such look for Honda fans. Of course, price points and horsepower don’t mean much to your little passengers. What will convince them, though, is the dual touchscreen layout of the 2018 Pacifica’s available rear seat entertainment system. With built-in games and apps to complement Blue-ray capability, each screen is sure to help keep little ones happy on long trips. The 2018 Odyssey’s available Blu-ray system shares a single center screen, instead.  To learn more about the 2018 Chrysler Pacifica or to schedule a test drive, contact Contemporary Automotive at (844) 500-6722.